City Destination Cape Town: Looking for eco-friendly hotels, authentic travel experiences or urban adventures in this popular South African destination? Here our recommendations for environmentally conscious, discerning city travelers. Cape Town played host to the 1st International Conference on Responsible Tourism in Destinations, a parallel event of the World Summit on Sustainable Development, in 2002. To this day, the resulting Cape Town Declaration is a key reference for destination sustainability. Cape Town’s journey continued in 2004 when responsible tourism was included as a founding principle of Cape Town’s Tourism Development Framework. In 2008, the City of Cape Town and the major tourism trade associations gathered around the table to deliberate a more durable tourism future for Cape Town. They chose water and energy efficiency, waste management, skills development, preferential procurement, social development and enterprise development as crucial for destination sustainability. Together, the partners created the Responsible Tourism Policy and Action Plan, adopted by the City Council in 2009. 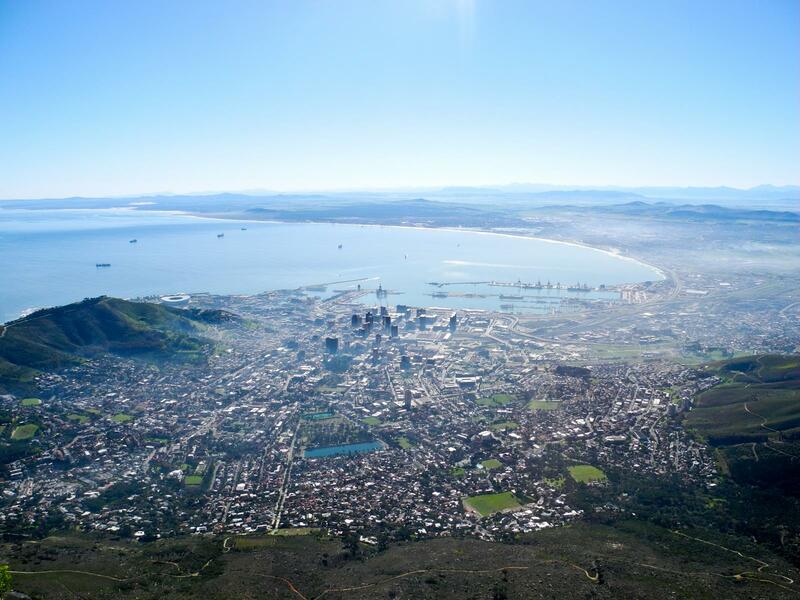 Also in 2009, on World Responsible Tourism Day, the five collaborators signed the Cape Town Responsible Tourism Charter, sealing a destination partnership and commitment to the seven destination priorities. International recognition as a frontrunner in responsible tourism followed in late 2009, when Cape Town was recognised as “Best Destination” in the 2009 World Responsible Tourism Awards. Just 400 metres from Cape Town International Airport and a 15-minute drive to the city’s main attractions, Hotel Verde offers you a carbon-neutral stay, along with luxurious accommodation and conferencing facilities. Hotel Verde was built with sustainability in mind from the ground up, and has won awards as the greenest hotel in Africa. Built in the late 1800s, this old English Victorian house was originally a family residence. High ceilings and well kept stuccos give this guesthouse charm and light. Situated in Three Anchor Bay, at the foot of Signal Hill, it is only a 10-minute walk from Cape Town’s new stadium and 10-minutes from the Atlantic Ocean. The Antrim Villa Guesthouse is Fair Travel certified and a pioneer in offering environmentally friendly and socially responsible accommodation in Cape Town. Established in 1692, Spier is one of South Africa’s most historic wine farms – with a long, proud legacy. Focused on art and healthy living, Spier is about farm-to-table food and award-winning wines; and people sharing ideas for living, working and growing in forward-thinking ways. For those on a shoestring budget, The Backpack Hostel is a great option for eco-friendly budget accommodation in Cape Town. The Backpack is South Africa’s original backpacker established in 1990. We are an award winning, Fair Trade hostel that invests in people and communities, giving meaningful and relaxed, travel experiences. The Backpack has just won two awards for Best Socially Responsible Initiative and Green Accommodation. AWOL Tours is a leading outdoor travel specialist for hiking and bicycle tours in Cape Town, South Africa. As responsible tour operator, AWOL facilitates authentic interactions with the local community, an insight into the diverse history and the beautiful natural environment surrounding the Cape Town region. A pioneering and highly praised responsible tour operator offering innovative day tours for conscious travellers seeking authentic South Africa experiences. For the adventurous, here’s an experience you won’t forget. Uthando in South Africa is doing great work raising funds for development projects through responsible travel experiences. !Khwa ttu stand for sweeping views, tracks through nature, guided culture tours, stylish home cooked food, exciting projects and entrance to the fascinating world of the First People. !Khwa ttu combines adventure, relaxation and education. Lasting impression guaranteed. For the latest update on weather in Cape Town, South Africa, check weather.com. For all sorts of useful information on Cape Town as travel destination, check wikitravel.org. Visit Cape Town between January and late April to make most of its dry summer months and to enjoy its beaches. It gets hot and busy in December and January especially, so if you can, plan your visit during the period late January till April. July to September is when the whales are the most visible, great for whale-watching in Cape Town. May and June are great for hiking tours. Still need travel insurance for your upcoming trip to Cape Town? Here’s why World Nomads is our favorite travel insurance. Like our recommended Cape Town hotels, eateries and urban adventures for environmentally conscious, discerning city travelers? Spread the word!